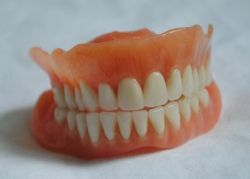 Unfortunately, dentures are difficult to care for, but at Paragon Dental, we do our best to try and educate you on everything you need to know to make your dentures last. Including keeping you up to date on all of the latest research behind the replacement tooth option. At Paragon Dental, we want you to live a long, healthy and happy life – even if that requires a bit more maintenance for some than others. Visit http://www.paragondentalinc.com/our-services/ to see how we can help you do just that!